E. Ambrose Webster was thrilled by the effects of light and was an attentive observer of nature. He was an influential teacher and spent a great deal of time as part of the Provincetown art colony, working in the open air among other artists and younger students. He was considered a leading modernist in American during the 1910s and exhibited in the Armory Show, a massive 1913 exhibition that introduced modern European artists to Americans in a large number. 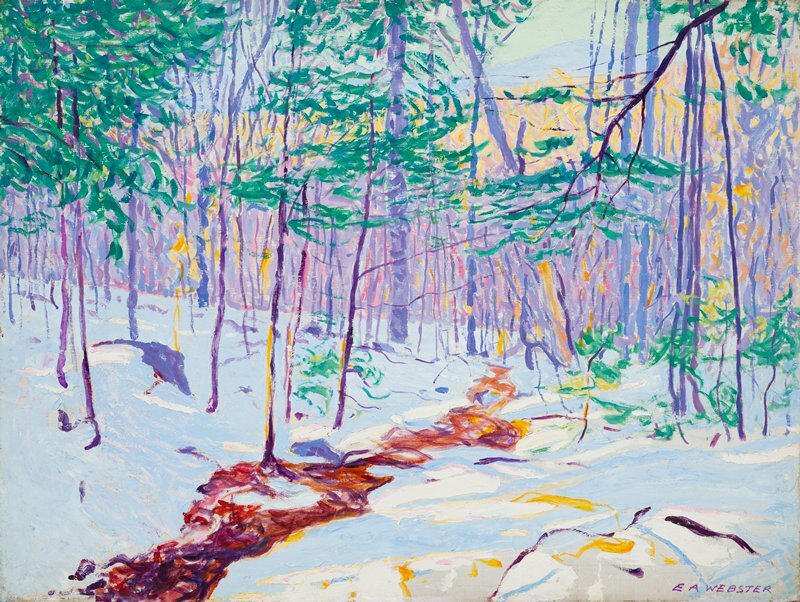 Brook in Winter shows Webster’s careful observation of sunset effects on a winter day. He added slashes of purple and searing orange through the trees to give the feeling of the long rays of the sun transformed through the brittle forest.